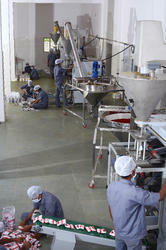 We, V. K. Spices IND Private Limited from 2008 are manufacturing and exporting a high-quality range of Spices. Offered products range consists of Blend Spices, Ground Spices, Asafoetida Powder and much more. All offered products are processed in the well-equipped environment under the supervision of experts by following norms using pure ingredients. For the benefit of humanity, we aim to provide our offerings at very effective prices and within the promised frame of time. Working under the leadership of our mentor, Mr. Nilesh Korat, We have proved our competency in the market by serving the need of our vast clientele in an effective manner. Backed by his knowledge and guidance, we are well-appraised by our vast client base. Eversun is a creation of entrepreneurs who are very fond of variety of spices. Eversun has turned out to be prominent brand because of its superior products which are launched in market after profound research and high-standard testing. V. K. Spices Ind Pvt. Ltd. possesses an ultra-modern plant with state of art technology at Kotada-Sangani Industrial area near Rajkot. Eversun is a sea of taste, which possesses a vast experience of providing a heart touching taste across the seven seas. 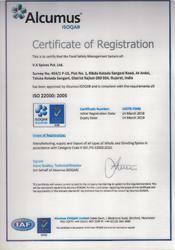 V K Spices IND Pvt Ltd is ISO: 22000:2005 Certified company approved by Alcumus ISOQAR. Registration Date: 24 March 2016. 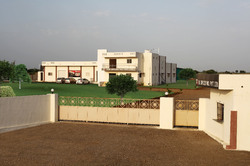 Company having its own manufacturing unit at Kotda Sangani Road, Rajkot, Gujarat with all types of facilities. 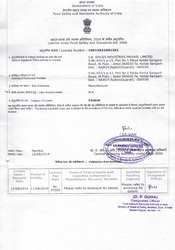 Company having FSSAI Lincence for manufacturing food products under provision of FSS Act, 2006. Company having wider area for storing its raw material and finish goods. 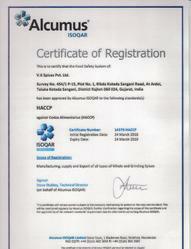 VK Spices has been approved by Alcumus ISOQAR for HACCP Certification in Manufacturing, Supply and Export of all types of Whole and Grinding Spices. We have the latest infrastructure facility, where all activities are performed in an effective way. Moreover, this infrastructure unit is further parted into various functional departments such as production department, research & development department, quality testing department and warehousing & packaging department. To manage these alienated departments in an efficient manner, we have selected a team of dedicated and brilliant professionals. 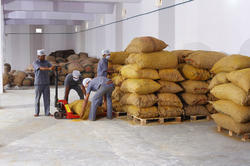 Emphasizing the quality of offered spices, we believe in making a long-term relationship with our clients. Our aim is to offer the best spices on the market and our team works dedicatedly, in order to achieve the same. 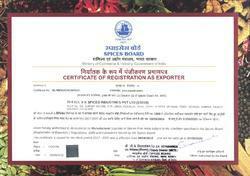 Company is registered with Spice Borad for exporting spices world wide.